Please Note: Only for 5 seater vehicles. 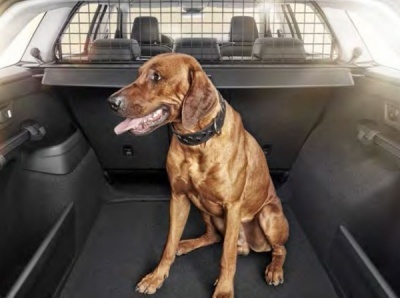 Keep your dog and passengers safe with this dependable metal guard. 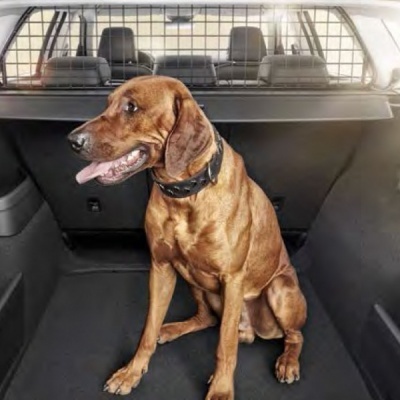 The half -type dog/luggage guard is fitted directly behind the rear headrests and prevents unsecured items or pets in the luggage compartment from entering the passenger compartment. Once fitted, it will no longer be possible to fold the rear seat backs to the furthest position back, otherwise the seat back will hit the guard. Please note:- Only for 5 seater vehicles.